Sam Smith – Even in a time as rough as this, citizens still have a choice of what and where they buy. So the boycott is a great, underused political weapon. Look how mad it has made Israel. We could do the same thing, if for example, the Supreme Court overturns Roe v Wade. 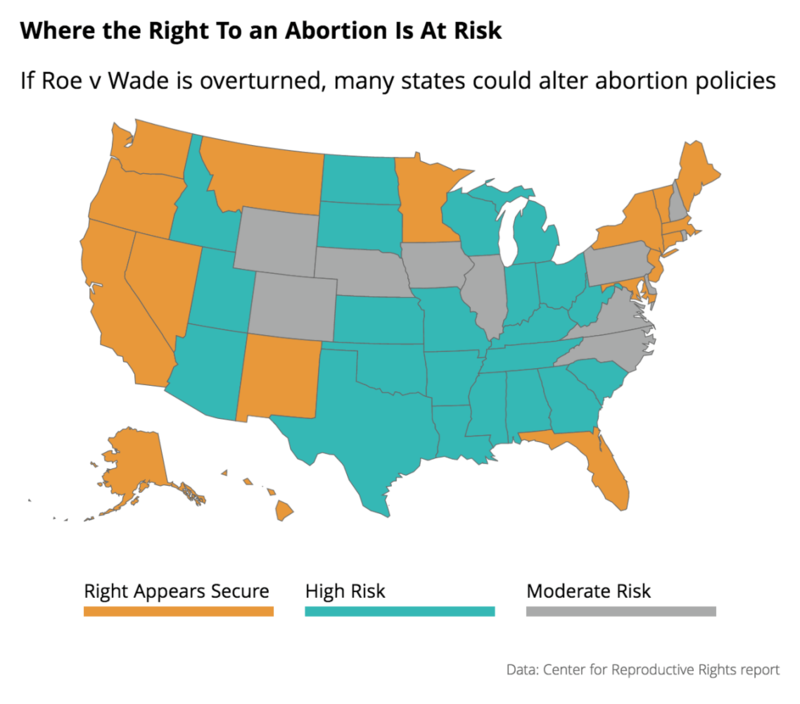 Based on an analysis of party control in state legislatures and governorships, as well as existing laws and constitutional provisions, the report said 22 states were at the highest risk of banning abortion. Most are in the central and southern US. Four of them — Louisiana, Mississippi, and North and South Dakota — have laws in place that would automatically make abortion illegal if Roe v Wade were to be overturned. Eleven states were classed as an intermediate risk. And in the remaining 17, abortion rights were said to appear secure. Obviously, a boycott should be centered on the worst states – in this case the ones where abortion is clearly illegal. The NAACP’s boycott resolution says the group won’t hold future national meetings in North Carolina and urged other groups to take their business elsewhere, too. The resolution says the organization could take other steps, such as urging the divestiture of North Carolina-related investments. … The NAACP boycotted South Carolina for 15 years over flying the Confederate battle flag on Statehouse grounds. When that boycott was approved, the group urged all of its members nationwide to avoid visiting or spending money in the state. The flag was removed in 2015. Already, House Bill 2 has caused numerous conventions, concerts and sporting events to pull out of North Carolina, depriving it of hundreds of millions of dollars in economic impact. The state also lost several large-scale business projects with hundreds of jobs because of the law. Further, several corprorations with headquarters in North Carolina – including Bank of America and Lowe’s – have come out against the anti-transgender bathroom bill. It wouldn’t take much of an effort to get many of the Fortune 500 to support abortion if for no other reason than the avoid the effect a boycott would have on their business. A boycott needs to be well planned and clever but it’s one of the best weapons we have in our struggle against the new confederacy of Donald Trump et al.